J H Bogran: Audiobooks, Huckleberry Finn, the Sisters Club, and me. Audiobooks, Huckleberry Finn, the Sisters Club, and me. As a no-native English speaker I missed plenty of the required reading books most people have read. Catch 22, Grapes of Wrath, even Frankenstein, I missed them all. I often had felt as an outsider when talking with friends north of the Rio Grande. There’s always time to catch up, right? Of course there is, and a few years ago I began reading at least one of the golden classics. I’ve read Dracula, Gone With the Wind, The Great Gatsby, The Lord of the Rings, and Pride and Prejudice among others. The bane of my reading existence was Huckleberry Finn. The fact that Mr. Twain had sprinkled the text with lots of phonetic dialogs to signal the different accents proved a problem for me. A problem I tried to overcome about four times before giving up and throwing the book aside until next time. One sunny morning I received an email saying because I had bought the kindle version, there was now an audiobook of Huck narrated by Elijah Wood. 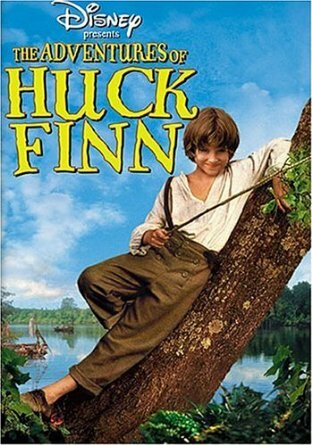 At first I wondered why Frodo Baggins would trouble himself with Huck, then I remembered he played the character for Disney a few years ago. I downloaded the Audible app to my tablet and presto! I was hooked on Huck. I have a daily commute of 90 minutes, so it took me some time, but I managed to finish the book I had started to read more than fifteen years before! 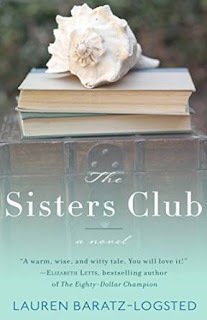 My next adventure with audiobooks was a romance/comedy (or vice versa) by the name of The Sisters Club, by Lauren Baratz-Logsted. This book was narrated by a woman, a pro who managed to change her accent slightly so I was able to distinguish the four female POV’s depicted in the story. The story centers about four women who had difficult relationships with their own sisters, thus at the prompt of one of them, they get together and start, rocky-road at first, and become as close as sisters. Diana is a plus-sized Londoner recently married and moved to the US, with no friends or family on this side of the Atlantic. Sylvia is a tough cookie, fitting because she runs a catering business, but the death of her sister is not improving her people’s skills. Liz is a college teacher who dreams of becoming a writer. Cindy, at twenty-four, is the youngest of the circle, and with such low self-esteem she goes through a hellish relationship thinking she deserves all of it. After the first meeting where Sylvia—who will later become the TV sensation Rude Chef— goes rough on the other three calling on their collective lack of courage and missing their goals. The result: Diana gets a gastric bypass while her husband is away on a business trip, Liz writes a book to the chagrin of her college students, and Cindy does all she can do get pregnant. Obviously, their lives become quite tangled and relationships change, morph and others become close to extinct. I know that as a thriller author people may expect me to read books in my genre all of the time. And I do, most of the time. Other times I like to read outside of my genre. Getting out of my comfort zone pays off because I find gems like The Sisters Club. Of course, I’m already a fan of Mrs. Baratz-Logsted.